Magento is one of the most popular e-commerce platforms in the world – for good reason. It’s insanely flexible, customizable and feature-rich. There’s just one problem: Magento can be slow. The CMS does have available speed and performance settings, but they’re not obvious. What is obvious: sluggish sites and long page load times. Enough is enough! Time for a pit stop. 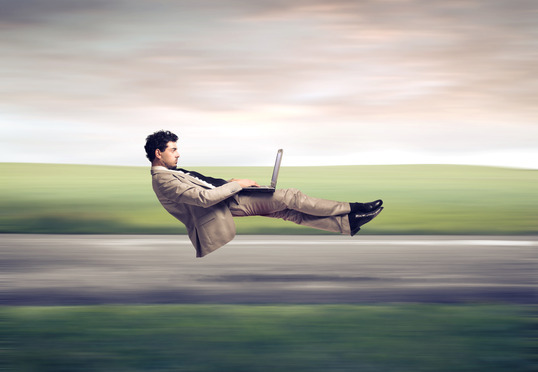 Here are a few quick methods to help you step on the gas pedal and speed up your Magento site. There’s a lot more horsepower under that hood than you realize. One of the reasons Magento pages often load so slowly is that the graphics are composed of multiple layers, much like Photoshop. There might be a layer for background, one for text, and a separate one for each individual image. These .PSD files are going to take a long time to load because each layer has its own settings and information. The upside of these heavy, multi-layered graphics? You can edit them and move objects around any way you like. The downside? It takes a long time to process all the layers. It’s like trying to crank a sandwich through a printing press. However, what if you took a picture of the sandwich? It’s way easier – and faster – to process a single sheet of paper than a multi-layered physical object. “Flat Data Products and Categories” allows you to export .PSD files as .jpgs, essentially taking a picture of the page and converting it into a single plane. As you can imagine, this speeds up your load times exponentially – especially if your store has thousands of multi-layered products and categories. The only problem? Once your .PSDs are .jpgs, you won’t be able to edit or re-arrange the contents any more. So convert, but convert wisely. You can find the “Flattening” function in System > Configuration > Catalog. Tip #2: Merge JS and CSS files. This is a good idea for all websites, not just Magento. When a site has to load one CSS/JS file, instead of several, everything moves faster. You can find Magento’s settings for merging these files in System > Configuration > Developer. Tip #3: Compile your Magento scripts. System > Tools > Compilation. Tip #4: Cache your site. This might be the single most important thing you do to speed up your site’s load times and performance. Caching ensures that your server won’t have to retrieve previously requested pages, and that means much faster load times overall. For most Magento sites running version 1.7 and up, it’s a good idea to cache Configuration, Layout, Translations and Blocks HTML Output. Depending on your site’s data and structure, you may also want to cache Collections Data, Web Services Configuration and EAV Types and Attributes – but keep in mind, caching these elements may slow your site down in some cases. Figure out what you need at System > Cache Management. Also, you should consider deploying Varnish Cache for Magento – you can read more about it here. Remember, Magento doesn’t have to be slow! Just apply these tips and you’ll be headed for the fast track in no time. For more tips on speeding up your e-commerce site, read our article here.